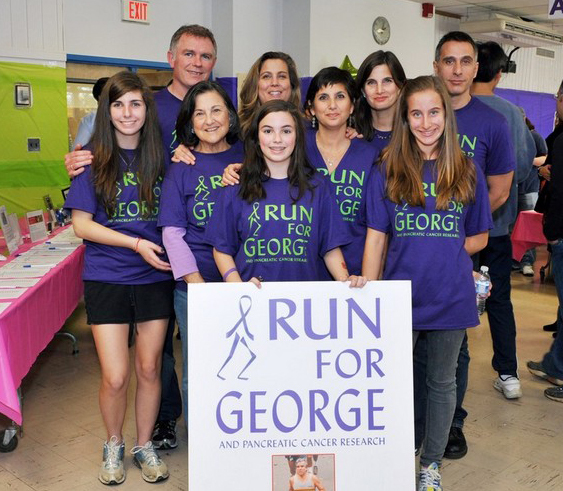 In 8 years, Run for George has raised $480,000 for pancreatic cancer research at Johns Hopkins University! The Rubis Family and Johns Hopkins thank all those who have generously supported our cause over these 8 years. Click on this link to see all photos and video from the 2010 event, which raised approximately $62,000. Click on this link to see all photos and video from the 2009 event, which raised approximately $65,000. Click on this link to see all photos and video from the 2007 event, which raised approximately $75,000. Click on this link to see all photos from the 2006 event, which raised over $80,000. Click on this link to see all photos from the 2005 event, which raised over $56,000. Click on this link to see all photos and video from the 2004 event, which raised over $45,000. Click on this link to see all photos and video from the 2003 event, which raised over $38,000.